HTC announced that the Vive Focus Plus — a new virtual reality headset it unveiled last month — will launch on April 15th for $799. The Vive Focus Plus is a self-contained headset with fully tracked motion controllers, following on the heels of HTC’s Vive Focus, which launched with similar specs but more limited tracking options. It’s loosely similar to the upcoming Oculus Quest, but instead of targeting mass-market gaming audience, HTC designed the Vive Focus Plus for business customers. HTC will let visitors to its Vive Ecosystem Conference try out 15 different apps for the Vive Focus Plus, including at least one game: a “Paintball VR” experience where the headset is paired with a haptic vest. But it describes the system as something for enterprise users, who will be able to buy it in 25 markets with support for 19 languages. The Vive Focus Plus, like the original Vive Focus, is based on Qualcomm’s Snapdragon 835 processor. 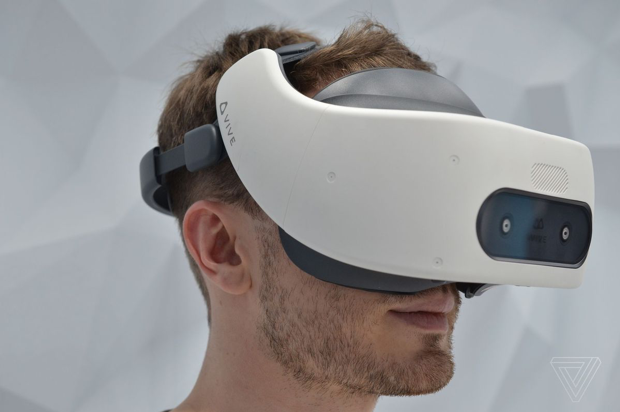 Its screen uses OLED displays with 1440 x 1600 pixels per eye, on par with the Oculus Quest and other newer headsets, although it’s more modest than something like the high-resolution HP Reverb.